The Senior Leadership Team is made up of teaching and non-teaching staff and is responsible for the academic, pastoral and administrative running of the Royal School. 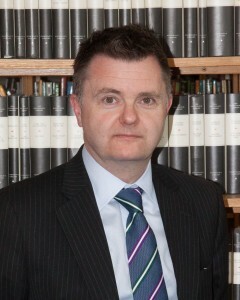 Mr Stephen McConnell is Head of Corporate Services in the school, including legal, financial, HR and Estates management. He also acts as Secretary to the Board of Governors and is responsible for the Year 8 Admissions process. He is a law graduate from the University of Leicester and is a qualified accountant. He worked at a senior level in the private sector for a number of years and joined the school in 1995. Mr Alan Aitken is in charge of the curriculum, which also includes administering reports and student tracking. In addition to management responsibilities, he teaches Biology to A Level and Psychology to GCSE; he also runs the Badminton Club. He was educated in Scotland, attending Heriot-Watt University in Edinburgh where he studied Biochemistry and Microbiology. His teaching career has been varied and taken him from England to the Bahamas, the Middle East to Northern Ireland. He was Acting Principal of the British School, Riyadh, Saudi Arabia, before his appointment at the Royal School. Mr Kenneth Hooks is Year 13 Year Head, Curriculum Adviser for KS3, KS4 & 6th Form, Careers Adviser, former Head of Mathematics, 2nd XV Coach and in Charge of Scripture Union. He has taught at the Royal School since 1983 and is a graduate of Queens University Belfast and the University of Ulster. He is a former Irish rugby international and has coached the Ulster Schools and Irish schools rugby teams. He is a past pupil of Bangor GS where he was deputy Head Boy and an Ulster Schools’ Cup winning captain. He is also an Ulster Schools’ Cup winning coach with the Royal School. He still holds the Ulster Schools’ record for the 100m sprint set in 1979! Mr Simon Cardwell is Head of Mathematics and Numeracy throughout the school. He is a graduate of Queens University, Belfast. He previously taught in Omagh Academy and he has been teaching at the Royal School since 2010. He is also a rugby coach for the Medallion XV taking the team to Medallion Shield success in 2018. Dr Peter Addis’ whole school responsibilities include Data and Systems Analyst, Curriculum Timetable Developer, School Information Management System Administrator, C2k Manager and ICT Co-ordinator. He is Head of the Computing and ICT Department. Dr Addis is interested in school improvement and effectiveness frameworks and he has focused on the development and implementation of a whole school Personalised Learning and Assessment Programme which has received national recognition and international interest. Dr Addis is a graduate of Queen’s University, Belfast. Mrs Lynn Montgomery is Senior Mistress and Head of Girls’ Welfare. She is also Head of English, Literacy and is the Special Educational Needs Co-ordinator (SENCo). A joint honours graduate of Queen’s University, Belfast, in English and French, she is a fluent French speaker. She produces school musicals and also helps to lead the school’s relief work initiative in India about which she is passionate. Miss Adele Murdock is Senior Head of Department in school. In addition, she is a Head of Year, Head of Geography and in charge of teacher induction and the early professional development of Beginning Teachers. She has taught in Kent, Moscow, Barcelona and Valencia. She is passionate about running and leads the school running club. She hails from Ballyclare and graduated from the universities of Leeds and Bath. Mr David Cunningham is Head of Sixth Form and teacher of Mathematics. He has recently returned from a two year secondment as Principal of Armagh City High School. As a highly qualified Outward Bound leader, he heads up the School’s Duke of Edinburgh Award Scheme. He also co-ordinates the Armagh Area Learning Community initiatives. As well as being the Senior Head of Year, Mrs Fiona Millar is Head of Sociology. She is also an English teacher and Editor of the Armachian Magazine. She believes deeply in pupil voice and pupil advocacy and chairs the School Council. She is in charge of Staff well-being and is also an ardent member of both the Junior and Senior Debating Societies. She is a graduate of the University of Dundee.